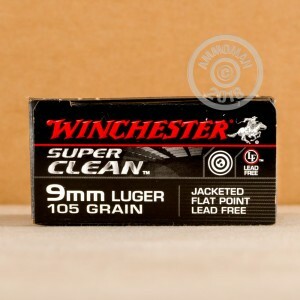 Winchester "Super Clean" ammunition is great for shooters looking to avoid lead exposure--a particular concern at indoor ranges where ventilation isn't always up to par. 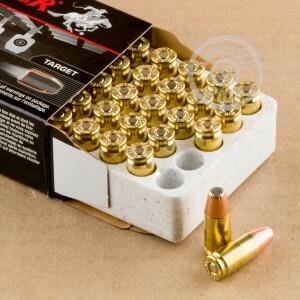 These 9mm Luger cartridges fire a 105 grain tin-core soft point bullet at 1,200 feet per second at the muzzle. They are designed to produce the same point of impact as conventional ammo while generating less recoil--a notable benefit for extended shooting sessions or training new shooters. This ammunition is loaded in Oxford, Mississippi and uses cleaner-burning propellants, brass cases, and non-corrosive Boxer primers that are free of heavy metals. Grab a few of these 50 round boxes or any items totaling $99 or more to earn free shipping from AmmoMan.com!